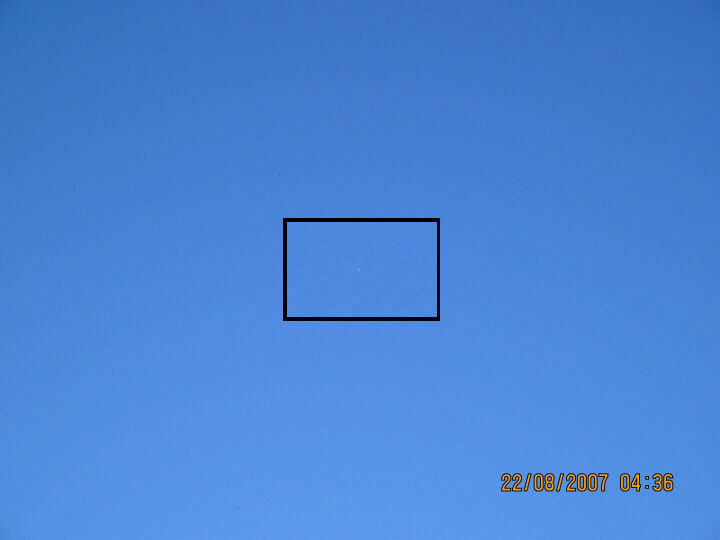 UFOBC Note: When we reduced the resolution of the photos to a size that was reasonable to put onto the website, we noticed that it was very hard to see the object in question, so what we did was keep the original resolution around the object and reduced the rest of the photo. The black border around the "enlargement" also helps you locate the object. I noticed something out of the ordinary from my backyard in Nanaimo. 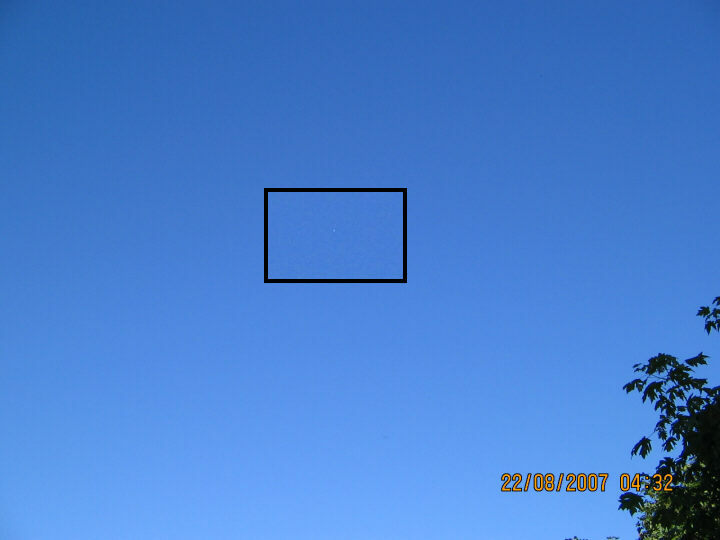 It seemed to be very high in altitude and appeared to be rotating slowly, causing sun reflection as it rotated. It crossed the sky in a direct path heading SE. I thought this may have been a jet but it seemed much too slow in its crossing. Here are two of the 6 shots I took. In the first shot, it is hardly noticeable, but it will give you some perspective as there is a tree branch in the shot. The second shot I had zoomed and you can see the sun reflecting. 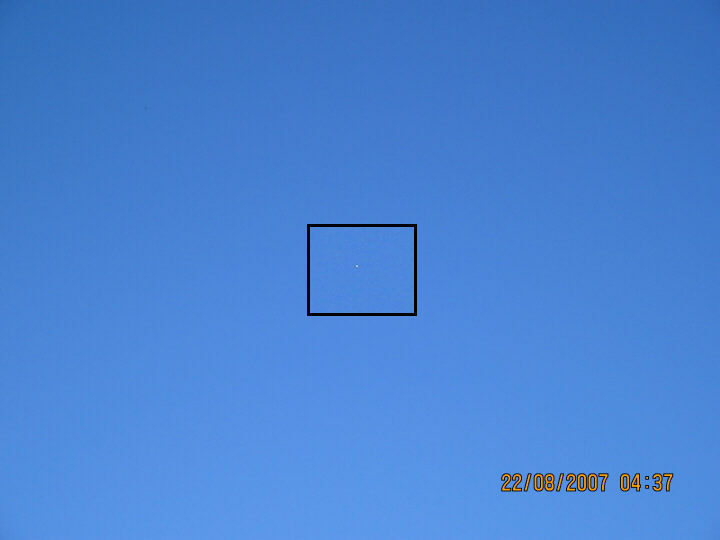 Is this a weather balloon? My friend Al recommended that I contact you. I also noticed a darker image in the left upper quadrant close to the reflected image. I don't know what this is, but it is not in any of the other shots. Here are the other 4 shots that I took. I’m sorry there is no reference point in these shots. 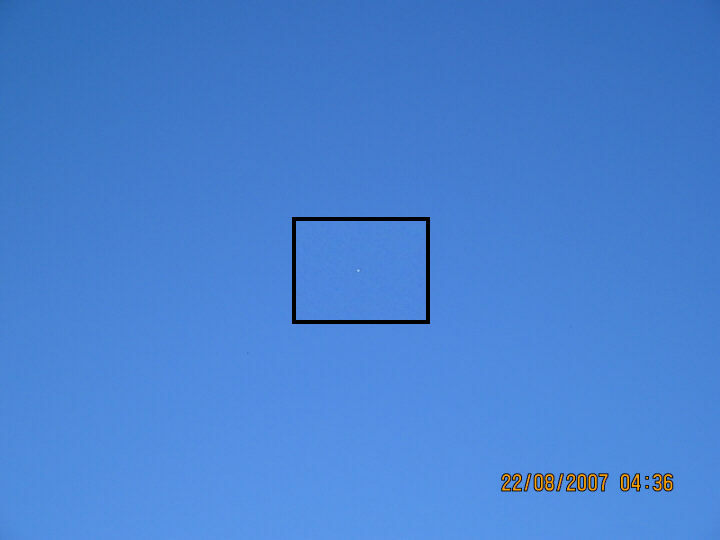 I first noticed this at about 4:15 that day and it was close to directly above me. By 4:30 I could still see this and thought this was odd that this would still be visible. In all, it took about 1/2 hour to fade from view. I should have taken a shot at 4:15 as it appeared closer to me then, but thought that it must be a jet. I also noticed that a flight out of Vancouver was climbing in the same vicinity at the time (about 4:45 pm) and he (the pilot) must have been able to have seen this. 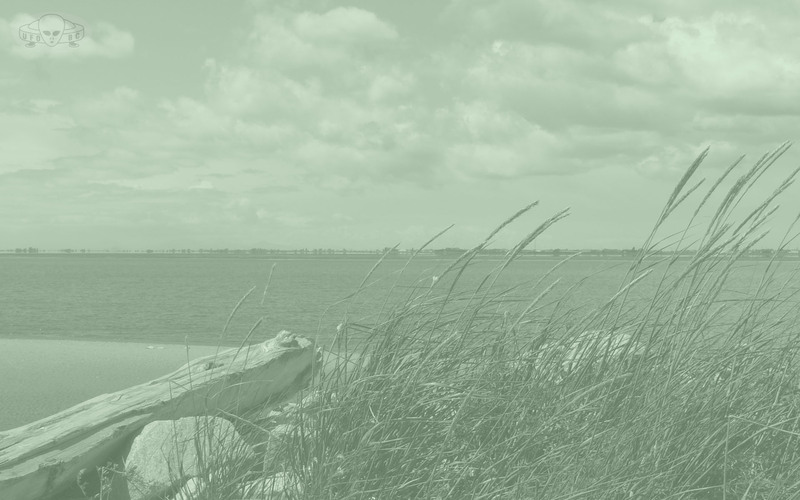 It would have been SE of him and at a much higher altitude, although it may have been too high for him to see and, from his vantage point, he may not have seen the same reflection I saw. I thought that maybe it was a jet and the reflection I was seeing was from a course correction, but it was fairly steady in its reflective pattern. It was about 20 seconds reflecting and 20 seconds nonreflecting. 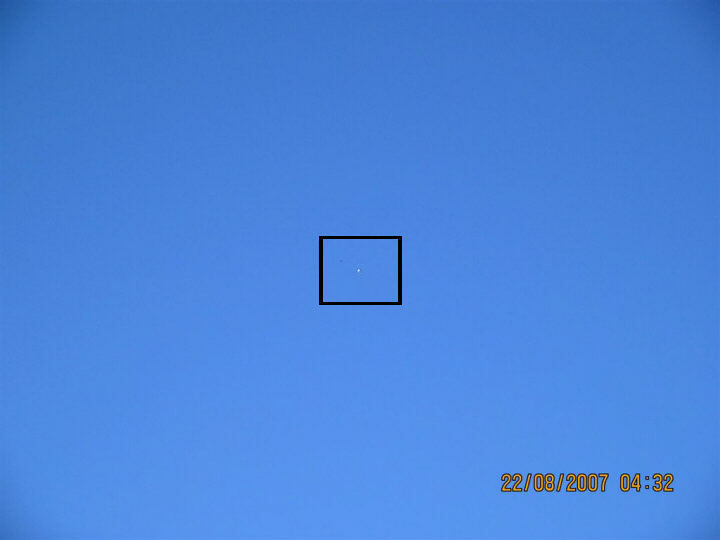 Also, it took a half hour to cross the sky from the 12 o'clock position to the 2:30 position when it then faded from view. I have never seen anything like this before. It is too bad there is not a site that shows the tracking of weather balloons. Are these normally reflective?